In case you weren’t able to make our seminar on buying a car – here’s a recap of everything we covered! Before you set foot in a dealership or look online, make sure you know how much you reasonably can afford to spend on a new or used vehicle. Check your budget. List all income sources, then list all fixed and variable expenses. Then determine what monthly payment you can afford but leave room for the unexpected. Don’t forget about other expenses, such as license, registration, gas, maintenance and repair. And factor in all costs, such as down payment, manufacturer rebates, value of trade-in, and money you can afford to borrow. It’s always better to error on the side of caution by estimating expenses on the high side. TIP: You can cut the cost of gas by combining errands, getting regular tune-ups, reducing weight in the trunk and not speeding. Keep your tire pressure at the level recommended for your vehicle by the tire manufacturer for safety and optimal miles per gallon. Getting preapproved for a car loan give you the upper hand when negotiating price. Just because you’re preapproved for a certain loan amount, though, doesn’t mean you have to get a loan for exactly that amount, or that you should look for a car that costs up to that amount. 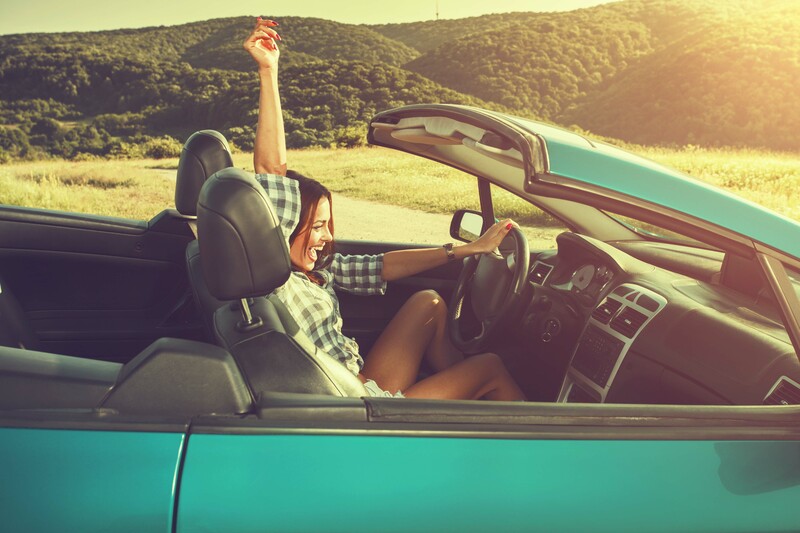 Consider the loan amount – and car price – that’s best for your budget, taking into account your transportation needs as well all maintenance, repair, license, registration and insurance costs. Dealerships can be a tricky place to navigate. We’ll break this down into 7 different sections. Educate yourself about options, pricing, and future functionality of the cars you’re considering. Shop around, visit a few different dealerships and take advantage of their online and offline resources. Check out the service department and research their reputation. The last day of the month is a great day to get a great deal! A savvy car buyer will take advantage of the internet to gather information about car pricing. There are several useful websites out now. You’ll be able to compare models and prices from the convenience of your home at your pace. Some websites even offer information that will compare a specific vehicles sale price to others in the area. Once you decide on a particular type and size of vehicle and take advantage of online shopping resources, visit at least three dealerships or car lots. Look for the car that has the most features you want at the price you can afford. Take someone with you to dealerships. Even if they don’t know much about cars, they can be a voice of reason and point out things you miss as you look at cars. Keep good records and take good notes as you shop around. Use a checklist for each test-drive and compare notes. Are you comfortable in the driver seat? Are there impediments to visibility? Are all the accessories with reach from the driver’s seat so you can keep your eyes on the road? Test the comfort level and road feel while passing, merging, shifting, cornering, breaking and going over rough pavement. If you have young children or pets, consider the best interior color – would darker be better? Will spills on leather wipe up easier? Pricing: Window Sticker vs. Nonwindow Sticker. No matter how many cars you’ve purchased, you don’t go through the process each week. Salespeople, however, negotiate car prices hundreds of times a year. Do your homework ahead of time to negotiate the best car price. Negotiation skills vary widely for each car buyer. The key to success is in gathering as much information as possible before you finalize the deal. The price of the car will vary greatly depending on the options you desire. Some cars come in different versions, such as DX, LX and EX or SE and LE. Standard options increase with each model, as does the price, and some companies offer very few nonstandard options as a result. Consider building your car online; some websites have tools that automatically add the cost of each option available on your vehicle, giving you a new total reflecting the additional cost factors. Remember if you’re buying a popular car in short supply, expect to pay more, especially when it first goes on the market. Buying a used car can sometimes be a better choice. Find out as much as you can about the history of any used car you’re thinking about buying so you can determine whether it’s been totaled, salvaged, rebuilt, flooded, failed inspection, or had the odometer rolled back. Carfax.com is one option, but it may not contain all the information you need, such as whether the vehicle was stolen. Call your state Department or Transportation (DOT) or check the website for forms related to vehicle history such as lien holders, title notations, mileage on title, title number and so on. Take your time when checking the interior and exterior of any vehicle you’re thinking about purchasing. Make sure all the accessories work, and that the car has a jack and related equipment. Keep good records and take notes as you inspect vehicles. Be sure to get promises in writing, keep the buyer’s guide for reference and have an inspection done by an independent mechanic. A new car warranty is included in the original price of new cars. Make sure you ask questions and understand what the warranty covers and what it doesn’t cover. How long is the warranty? If it’s 5 years/50,000 miles, it’s whichever comes first – the end of five years, or reaching 50,000 miles on your odometer. A bumper-to-bumper warranty may not cover everything, so ask for specifics. You have the right to see a copy of the dealer’s warranty before you buy. Review it carefully to determine what is covered and what is not covered. Make sure you get a copy of the dealer’s warranty document if you buy a car that is covered by a warranty. A dealer may offer a full or limited warranty on all or some of a car’s systems or components. However, most used-car warranties are limited and coverage varies. In fact, some systems or parts may be covered by a full warranty, and others by a limited warranty.